The glorious elegance of Paris meets the malaise of post war Europe in An American In Paris, which transfers to London after a hugely successful Broadway run. The production is based on the 1951 film of the same name, and is directed by Christopher Wheeldon, the acclaimed contemporary ballet choreographer. Wheeldon's expertise inflects each dance sequence with sensation, and is notable throughout the production as a whole, which moves smoothly and kinetically from start to end. Meanwhile, the music and lyrics of George and Ira Gershwin are irresistibly charming and full of flair. In a Paris racked with guilt and haunted by the events of the war, Jewish-American Pianist Adam Hochberg narrates a story in which he is curiously sidelined, about how his friend, American Lieutenant Jerry Mulligan, arrives in Paris after its liberation, and decides to stay and pursue artistic endeavours. Hochberg and Mulligan team up with Henri Baurel, the son of a wealthy family obsessed with appearances, who dreams of being an entertainer. The trio are brought together by their artistic interests, and inexorably linked by their attraction to a talented and demure ballet dancer named Lise, whose talent and spirit enraptures them all. Bob Crowley's production design is gorgeously painted in a light dreamy pallet, which transports the audience to some of Paris' most recognisable and evocative locations. In a uniformly excellent cast of performers, Royal Ballet star Leanne Cope shines as Lise, with a sweet voice and unmatched dancing skills, which is only to be expected given her impressive career prior to her star turn originating the role of Lise of Broadway in 2015. She effortlessly sells Lise's remarkable talent as a ballet dancer to be reckoned with, and adds innocence and personality to Christopher Wheeldon's striking choreography. However, despite its heavenly design and mesmerizing choreography, An American In Paris doesn't quite hit every mark. Like many musicals originating several decades ago, what constitutes 'romance' within the setting of 1940s France comes of as a little bit uncomfortable by today's standards. Certainly, having three men lust after the same woman after she initially shows very minimal interest in any of them can be a little unnerving. This is made all the more noticeable as we're currently in the midst of an outpouring of allegations of sexual assault in the arts. Of course, within the context of the story, it's not intended to be anything more than an innocent tale of a woman opening herself up to love after enduring emotional trauma, but nevertheless to an audience in 2017 the story's connotations could be seen as a little uncomfortable. Additionally, the production maintains a sleepy pace throughout, which works in its favour in many ways, but does mean that more urgent or even just flashier moments jar with the piece's tone. Henri's act two dream sequence I'll Build A Stairway To Paradise seems to come out of nowhere, and is enjoyable but bizarre after the production has established a subdued and grounded tone throughout. Similarly, the unmistakably brave and angsty 'Laurey's Dream From Oklahoma'-esque abstract ballet sequence which brings the second act near enough to a close, is exciting and fabulously performed, but seems incongruous with the musical's mellowness, which is maintained for the majority of the show. All of that being said, dance lovers will no doubt adore An American In Paris' gorgeous ballet scenes, which are undoubtedly the musical's main draw. 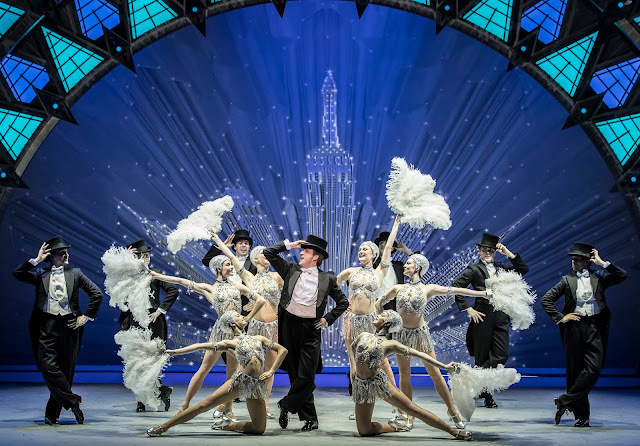 Full of joie de vivre, it calls back to a time when musicals were easy breezy, but also contains a bit of bite for modern day audiences to get their teeth into.